Figure 5. Front Driveshaft Assembly. Figure 4. Front Driveshaft Disassembly. Figure 7. Front Driveshaft Installation. Install dust cap (Figure 5, Item 2) on tube assembly (Figure 5, Item 1). assembly (Figure 5, Item 1). 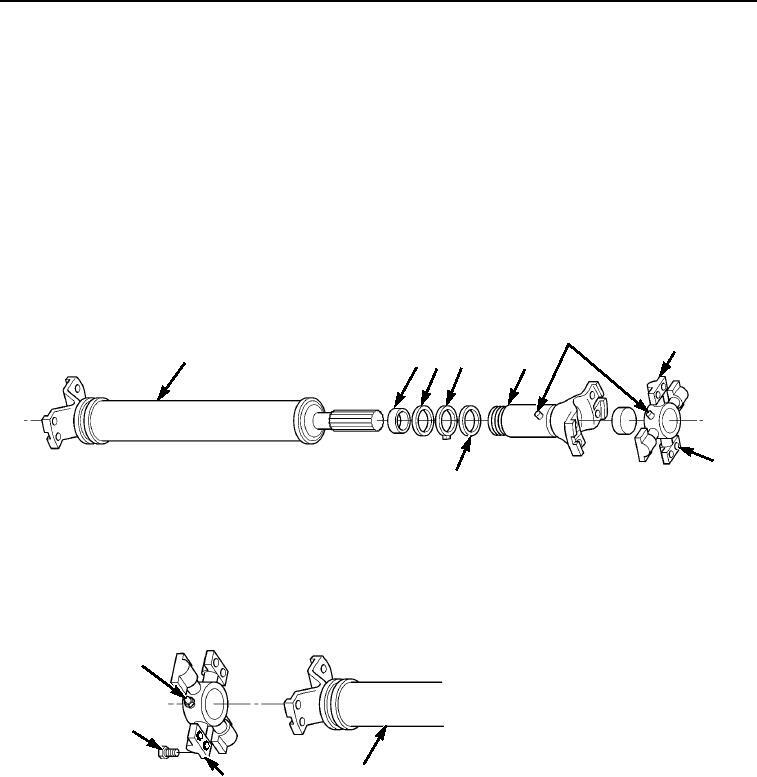 Install tube assembly (Figure 5, Item 1) into slip yoke assembly (Figure 5, Item 5). Tighten dust cap (Figure 5, Item 2). Install two grease fittings (Figure 5, Item 6) on yoke (Figure 5, Item 5). assembly (Figure 5, Item 5). Install grease fitting (Figure 6, Item 1) on rear spider bearing assembly (Figure 6, Item 3). assembly (Figure 6, Item 2). Tighten eight capscrews (Figure 6, Item 4 and Figure 4, Item 8) to 50 ft-lb (68 N·m). Figure 6. Front Driveshaft Assembly.